I can’t edit the image to flip it- no idea why as it normally works but it keeps freezing. 28.25. 4th in my age category. 20th female out of 78. 113th place/201 overall. Out and back on my own (no parkrun that week due to being in Bath). I had a headache and I had to wait at the one set of traffic lights for ages! 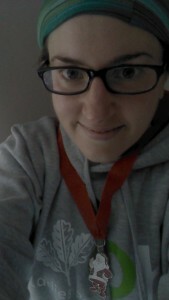 But anyway, medal still earned. No fun stats like you get from parkrun though. A Santa medal! 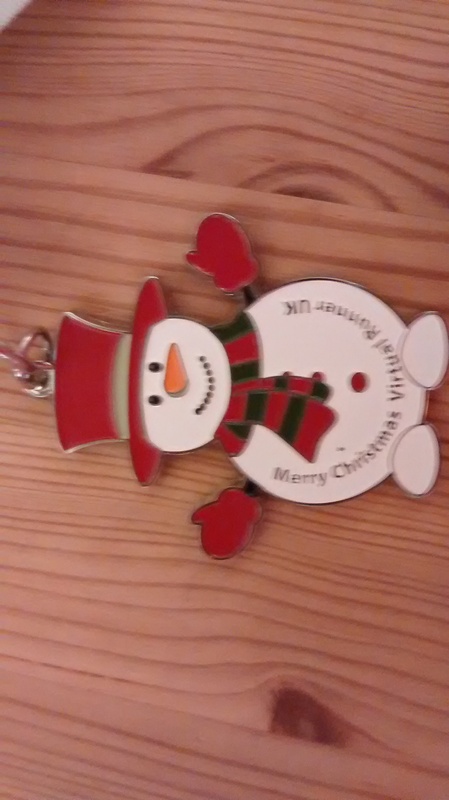 The medals were all labelled, but I feel like it should be for week 4, as the weeks run from Tuesday, so Christmas day will be in week 4. Anyway. Another parkrun. 28.50 (which I felt was further off week 1 than it actually was-25 seconds slower isn’t too bad). Felt fine but had been ill in the week so the end felt tough. 3rd in my age category! 23rd female/ 80, and 137/226 overall. 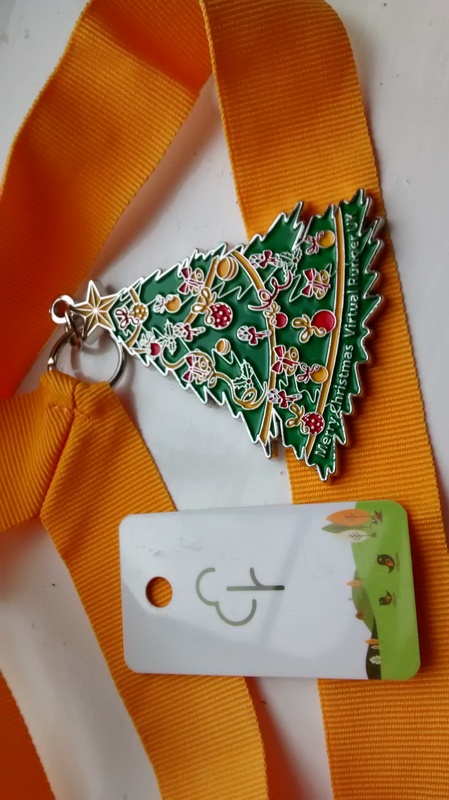 Ran with my brother, and he managed to get himself a Christmas day pb! My time- 29.10. 165/270 runners, 4th in my age category again! 37/98 women. I ran with my antlers held in place with a buff, jingling all the way. Here are all the medals. 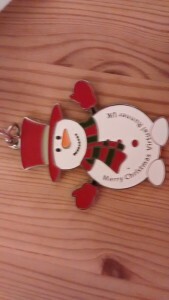 The reindeer is my favourite. So all in all, fairly consistent. I was tempted by the other parkrun on boxing day, as it had a 9.30 start ( I woke up too late for my one) but its laps and I don’t like some of the really fast runners, so just went out on my own for fun. I will try that one in the new year at some point to see if I have sped up, as strava tells me I am trending faster with my course but I don’t believe it, but it will be good to test myself on a flat and mud-free course. I’m glad I joined the challenge, even if I didn’t finish with amazing times. 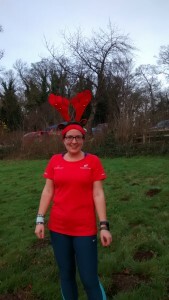 Ha ha my brother said the same thing about the antlers- that is why he thought he caught up with me! 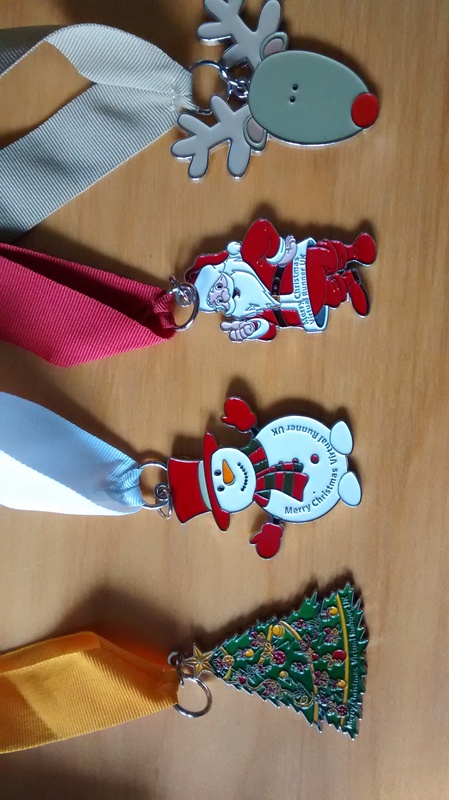 It’s so lovely that you have the complete set of medals 🙂 I should have looked up which medal went with which week, and then I could have done weeks 2 and 4 because the snowman and the reindeer are my favourites. Oh well! I think I chose the first two weeks because I was convinced that if it was going to snow then it would do so in late rather than early December. I thought the challenge was fantastic, even though I only did two weeks of it. Congrats on completing the entire month! I only did all 4 because I could not work out which week was which medal, plus they did a deal for all 4 for £20 or something, which seemed like a massive bargain. 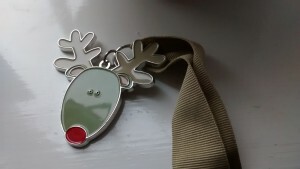 Ahh the reindeer medal is lovely! All of them are but I love the reindeer one the most. Wow! Close to 100! That’s amazing! I think my volunteer shirt will be next as I think I have done that 13 times now- only on run number 56 so 100 is over a year away at least. The thing is, the lapped course is around a lake, and at some points there is a waterway on the other side of the path, so it is fairly narrow. When I first went they were lucky to get 100 people doing it, but now it’s more like 300, so it is congested for more of the course which of course slows it down a bit. I will go back there one day though!